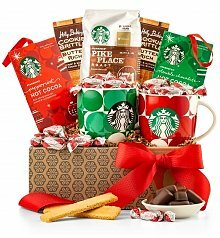 See what's brewing in our new gourmet coffee and gourmet tea gift baskets! Sometimes the best gift should be sipped. 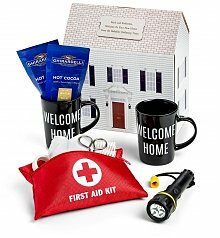 Along with our gourmet gift baskets, we offer special gifts that feature coffee and tea. If they enjoy tea, our Full Leaf Tea Tasting Crate has everything needed to relax. 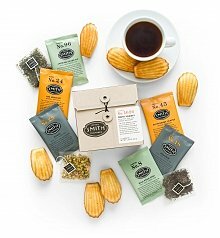 Brimming with artisan full leaf teas from Steven Smith Teamakers and Harney & Sons, this gift even includes a ceramic teapot and teacup set and a few shortbread cookies for dipping. 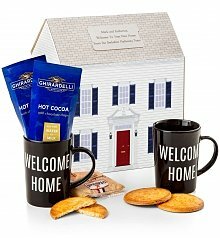 A marvelous gourmet tea gift! If they're a coffee fiend, send them the Personalized Copper Lidded Coffee Tumbler! 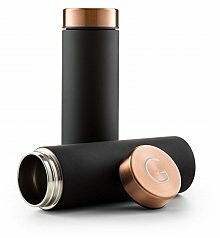 Solid stainless steel construction with a matte finish and a lustrous copper lid are perfect for on the go coffee indulgence, and the personal touch of their initial engraved on the copper lid takes this gift to even greater heights. 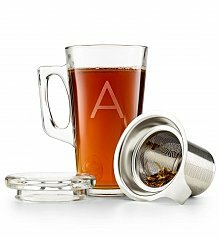 For the best gifts for tea drinkers and coffee lovers, look no further than GiftTree.